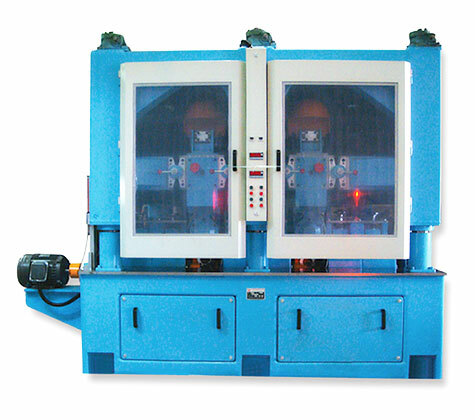 Metal surface, Grinding / polishing machine - Yang Hsiang Precision Machinery Co., Ltd.
Yang Hsiang was established in 1983 as a professional manufacturer of metal grinding/polishing machines. Through more than 23 years of professional expertise and continued efforts in research, development and product improvement, it has become the major supplier of such equipment in the Taiwan. Based on the 23 years experience, Yang Hsiang enters the art and surface technology on stainless steel sheets and other metals, that are "3D surface art" products. It is a new creativity of art that can baffle your imagination by giving metal surfaces a beautiful and innovative feeling. They believe that a whole new space of art, using technology and crestivity to decorate metal surfaces, making your space more brilliant and sparkling. Yang Hsiang creates the best quality and service to meet customer requirement. Your any comments will be greatly appreciated.